In this article, we have reviewed various indoor TV aerials in the UK to arrive at our 2016 list of the top 4 best indoor TV aerials for Freeview and/or DAB. In the UK, you need an outdoor or indoor TV aerial to receive free channels from Freeview. If you have a weak signal, you must find out how far the transmitter is from your location. If it’s within 15 miles from your location, usually an indoor TV aerial will suffice. If it’s up to 30 miles away, you will need to mount an outdoor aerial. There are other options like Freesat or Youview as alternatives to Freeview. Freeview refers to the name of the United Kingdom’s digital terrestrial television service. The service delivers content to viewers through an aerial. The service is available on televisions, personal video recorders (PVRs), and set-top boxes. Freeview services provide the United Kingdom’s most popular radio and Television channels for free without any monthly bills. You only pay once for the Freeview box (HD or SD) or for a TV that has built-in Freeview. Freeview service happens to be a great choice if you are on a tight budget and you do not want to be tied into a subscription package. However, the service does not have the choice of pat-TV services from Virgin and Sky Media, or even the subscription-free satellite television alternative, popularly referred to as Freesat. You can access Freeview services on a wide range of devices, video recorders included. Freesat and Freeview users both have access to free digital channels without having to pay a monthly fee or having to sign up to a specified contract. The differences in these two services are in the delivery. Freesat is delivered through satellite, which means you need a dish and a set top box/TV with built-in Freesat. Freeview, on the other hand, is delivered through transmitters which means you require an aerial with a set-top box/TV with built-in Freeview. The main difference is in regards to the coverage. The manner in which Freesat broadcasts means that its coverage is total. On the other hand, Freeview may be available to approximately 98% of the United Kingdom, but those who have poor signals, for instance, those in the 15% of the households which can only get 15 core channels- will be better off with just Freesat. If you are unsure of the coverage of your locality, you should find out what services are they likely to access with Freeview. The installation of a satellite dish is expensive. Those who do not have a dish will have to install it at a cost of approximately £80. The user must expect to add a sum of at least £30 to that cost for Freesat+ and due to the need for additional connections and cables. Individuals who already have a dish, for example, former Sky customers, will still have to purchase a new Freesat-specific box, but it is simply a case of swapping the cables across. The basic Freesat set-top boxes go for approximately £44. Freeview requires an extra traditional aerial, and either a set-top box or a TV that is Freeview-enabled. The basic boxes can go for as little as £20. The number of channels that can be viewed on Freeview is increasing steadily. More than 70 channels are now available with at least 12 in HD. Additionally, there are more than 20 radio stations offered. Compare that to Freesat where you get over 200 channels and an equal number of HD channels. Individuals who choose the Smart version of Freesat- known as Freesat with Freetime, will get access to a wide range of digital terrestrial catch-up television services and on-demand content which might otherwise only be viewed through a pay TV provider. Does Everyone need an Aerial for Freeview? TV signal strength can vary in diverse portions of the country from rural to city depending on where the transmitters are located, and the physical surroundings which can obstruct the signal. Of the over 70 Freeview channels, approximately 15 require a license fee for viewing (UK citizens pay this as TV licensing fee annually). Others are commercial channels may or may not have invested to spread their coverage past local relay transmitters. You can check which Freeview channels are available in your area. Indoor aerials can be used to boost signals and get the best reception. The indoor aerials are used placed on top or beside the TV where signals are strong enough to overcome the limitations of the antenna. 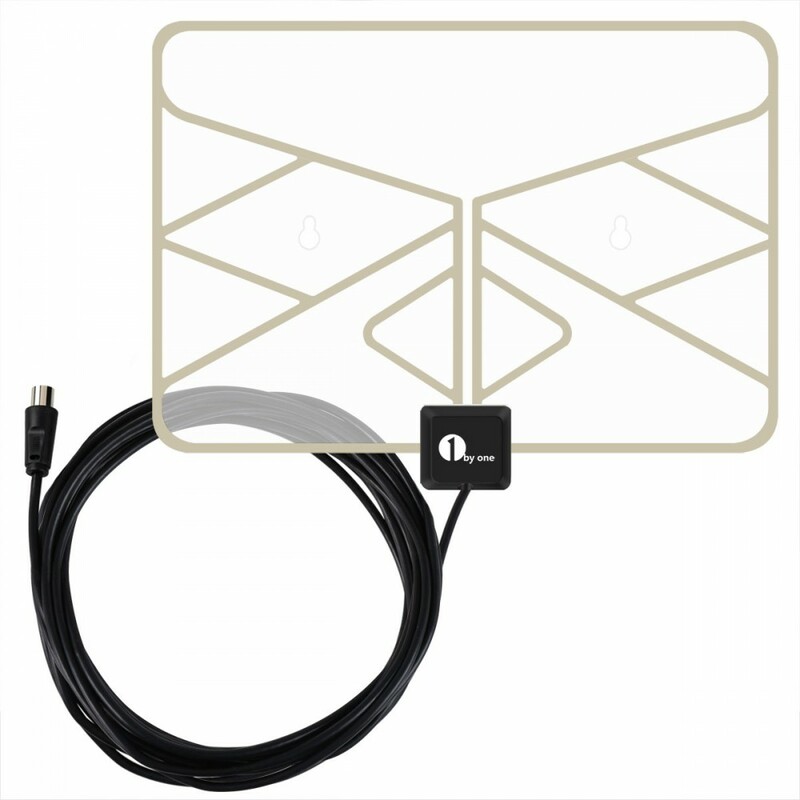 Outdoor aerials are also recommended for Freeview boxes and TVs as they are reliable. If you are planning to buy an indoor TV aerial, you can check out the offers offered on the sites. Just click on the link and review the product to see if it suits your needs and budgets. 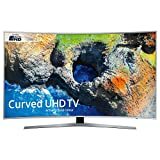 How to Install and Check an Indoor TV Aerial? Plug the aerial cable into the back of the set-top box or television that you are going to use. Some of the aerials are omnidirectional, this means that you do not have to align them to match the position of your local transmitter. However, most will require that you position them in either vertical or horizontal alignment. Now switch your television to a Freeview channel, for instance, BBC One. Now slowly and carefully start moving your indoor aerial around to get a good reception. To check whether you have a full reception, just tune to QVC, Yesterday, Dave, One HD, ITV, and BBC One (each channel is on a completely different multiplex). Getting the ideal position for your indoor aerial is important in acquiring a good, sustained television reception, and it is therefore recommended to secure it while it is up and running. Complete with 12 volts DC power supply. Built-in amplifier with adjustable gain for optimal performance. 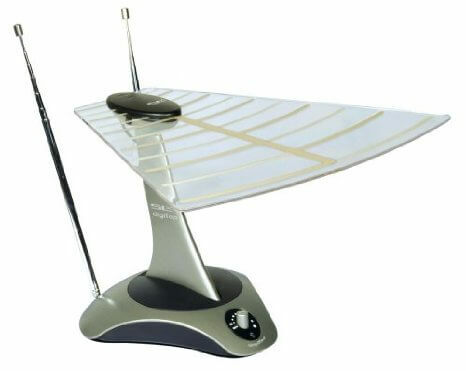 High-performance adjustable Log periodic indoor Radio/TV aerial. The aerial provides excellent reception and it is very easy to set it up. Compared to other aerials in the market this is the best value aerial that is both efficient and affordable. Has an adjustable loop aerial that provides the best UHF reception. It is the ideal choice for the strong signal area. Offers quick and simple ways to install. With this aerial, you don’t have to pay extremely high monthly satellite or cable bills to enjoy the shows that you love. 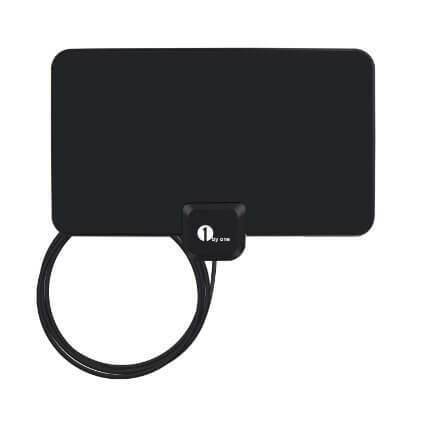 This aerial can pull in all the local news, sitcoms, weather, sports, and kids programming with no monthly bills or contracts. All you have to do is acquire it, plug it in, and connect your TV, and the aerial will do the rest of the work. It is light and thus can be placed almost anywhere and power is not really needed. It is easy to set it up. The aerial is magnificent. 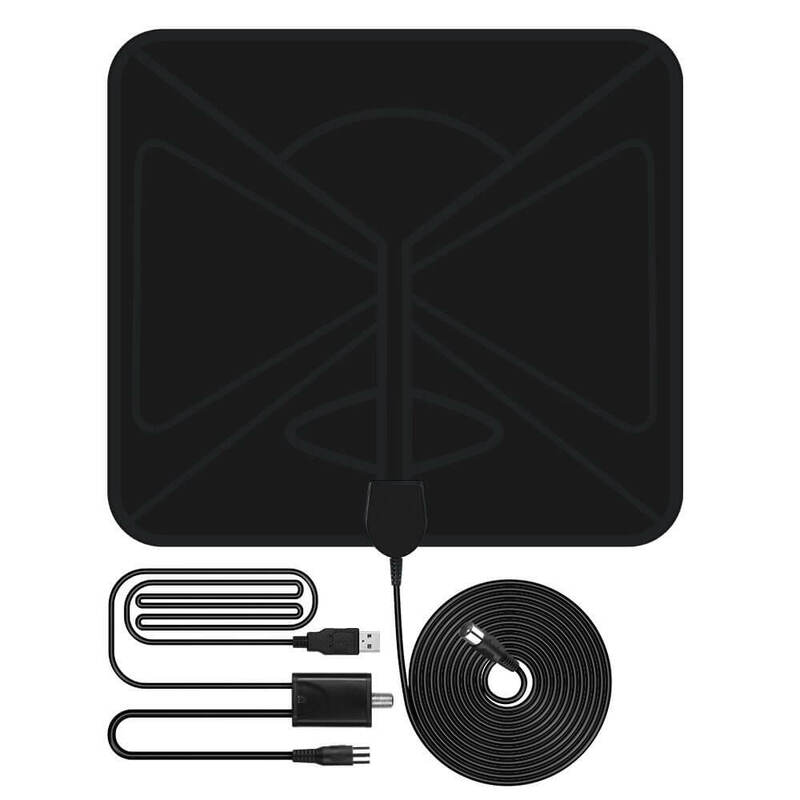 If you work in an area where TV reception is poor, this is the perfect device that you need. Just place the aerial on your window and connect it to the TV and let it do its magic. The aerial is very easy to install and the instructions provided in the manual will guide you every step of the way. It is easy to set it up and no power supply required. Known for its excellent reception with an incredibly thin compared to other aerials. The aerial is very easy to install and the instructions provided in the manual will guide you every step of the way. The amplifier boosts the antenna with better signal and butterfly pattern optimizes reception. Working frequency: VHF174-240MHz, UHF 470-862MHz. Come with a 10-feet coaxial cable making it easy to install the antenna near the best possible signal reception area via the website: dtv.gov/maps; antennaweb.org. The paper-thin design makes it easier to be placed on anywhere including flat or curved area, wall or window glass (highly recommended). Installation is a breeze with only 3 steps: unwrap, plug it and scan channels. 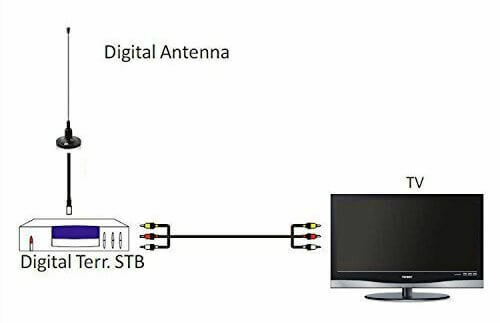 The aerial is very simple to connect to the TV. It just plugs into your coaxial input, after which you can initiate the automatic scan. Within a minute or two you will have all the signals that your main television receives. The quality of the picture with this aerial is excellent and the fact that it is very affordable makes it even more attractive.